Antonio Grandison, age 20 of South Kansas City, has been charged with First Degree Murder, Burglary and Armed Criminal Action in the death of Nick Dutcher, an employee at NBC Action News who was active in his South Kansas City neighborhood, playing Santa for Stratford Estates’ Christmas party each year and assisting with the Ruskin Tornado 50th Anniversary event. Dutcher’s body was found in his home in the 6900 block of 114th Street on July 20, 2010. Grandison was arrested on August 27 for being in possession of a stolen motorcycle. His fingerprints matched those found inside Dutcher’s stolen Ford Escape, which had been recovered in the 4000 block of 56th Terrace. 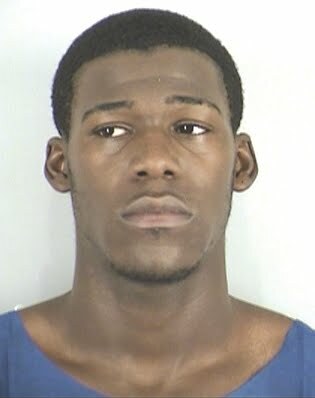 Homicide detectives questioned Grandison. During questioning, he confessed to the murder. Grandison told police that he had broken into the house while Dutcher was not at home to steal a TV, computer, and other property. Dutcher came home during the burglary, and Grandison said he followed Dutcher into a room and strangled him. He left the residence in Dutcher’s Ford Escape with the stolen items. Bond is set at $500,000 cash. Kansas City Redistricting: Now or Later?